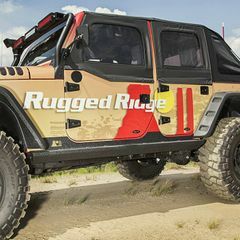 Rugged Ridge XHD Rock Sliders are designed to defend your Jeep's most vulnerable points – the lower rocker panel and pinch seam. 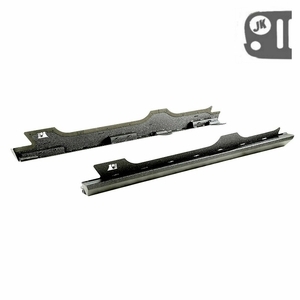 Featuring an innovative one-piece design, each rock slider is precision manufactured from CNC-laser cut 3-mm steel plate and finished with tough, textured-black coating. We have also integrated a step, making climbing in and out of lifted vehicles easier.